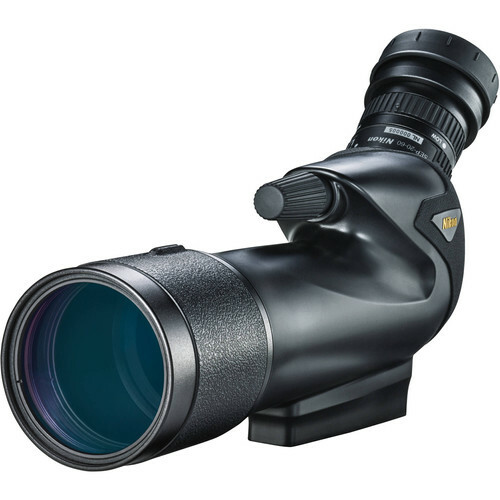 With extra-low dispersion glass preventing chromatic aberrations and Field Flattener technology for edge-to-edge sharpness, the Monarch 20-60×82 ED Spotting Scope from Nikon offers a contrast-rich and color-accurate image. 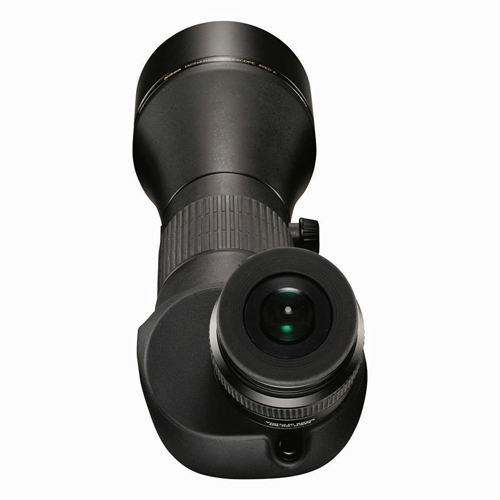 Equipped with an 82mm objective lens that gathers ample light and a 20-60x zoom eyepiece, this angled-viewing scope is suited to a wide range of uses. Multi-layer coatings on the lenses and prisms provide bright detailed views, even in low-light conditions. 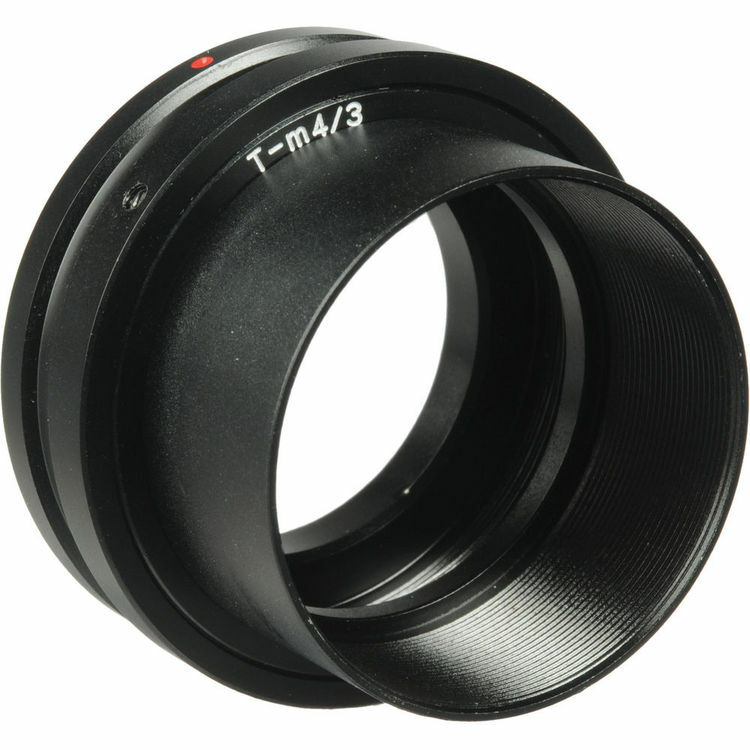 The focusing ring permits fine adjustment for distant subjects and coarse adjustment for nearby subjects. 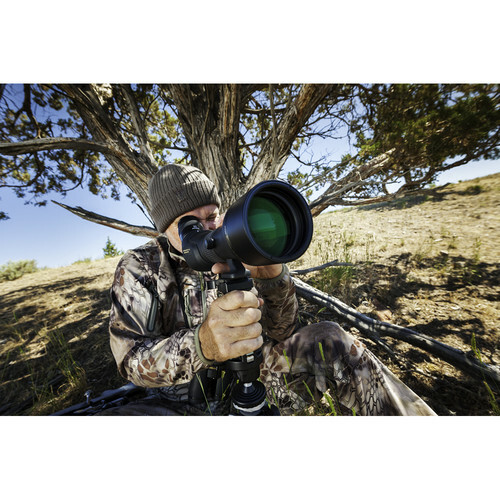 Weather and temperature changes won’t interfere with your glassing – the Monarch’s body and eyepieces are waterproof and the body is nitrogen-filled to prevent fogging and condensation. 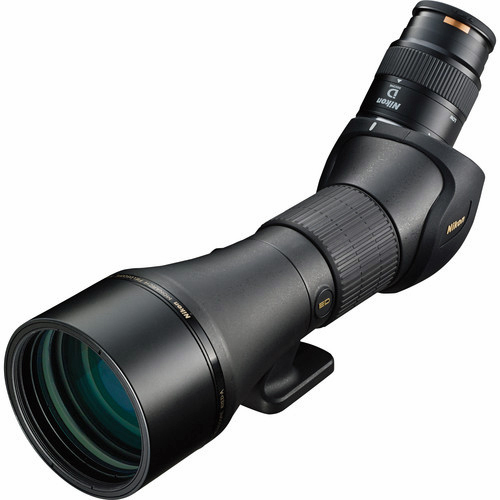 Nikon has developed eyepieces exclusively for MONARCH Fieldscopes. 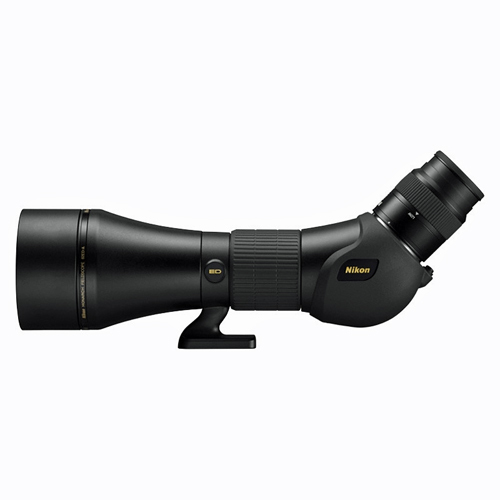 Each employs a new optical system, and a Field Flattener Lens System that delivers consistent sharpness and clarity across the entire field of view. 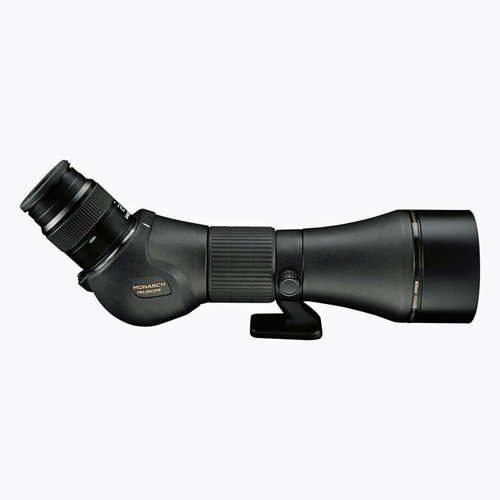 Engineered to provide a wide field of view, MONARCH eyepieces also provide sufficiently long eye relief. Thus, not only do you enjoy peerless viewing - you can also perform collimate photography with a compact digital camera. 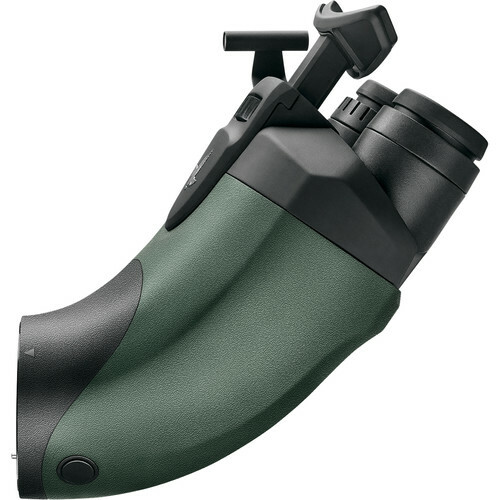 When attached to a Fieldscope, each of the three new MEP eyepieces are waterproof, ensuring safe use even during unexpected weather changes.